Promising young conductor Shizuo “Z” Kuwahara won first prize in the prestigious Georg Solti International Conductors’ Competition in 2008 in Germany. He earned a Bachelor of Music degree, Performer’s Certificate and Arts Leadership Program Certificate from the Eastman School of Music. Eastman alumni and Arts Leadership Program Certificate recipient, promising young conductor Shizuo “Z” Kuwahara recently won first prize in the prestigious Georg Solti International Conductors’ Competition in Germany. Mr. Kuwahara held the positions of associate conductor of the Virginia Symphony and American Symphony Orchestra League Conducting Fellow with The Philadelphia Orchestra. In Philadelphia, he was mentored by the Music Director Christoph Eschenbach and led the orchestra in family and student concerts and covered additional performances. Mr. Kuwahara served as an artistic director and the principal conductor of the IPPO Philharmoniker in Tokyo, Japan. Just recently, he served as an assistant conductor at the Saito Kinen Festival, where he was an assistant to Seiji Ozawa and conducted the Ozawa Jyuku Orchestra. In 2006 he spent his summer in Sapporo, Japan, where he was an assistant conductor of Valery Gergiev at the Pacific Music Festival. Mr. Kuwahara has also served as Professor of Music and Director of Orchestra Activities at the College of William & Mary and American University. Frequent guest conductor of the Nagoya Philharmonic and the Orchestra Ensemble Kanazawa, Mr. Kuwahara will soon make debuts with the Frankfurt Radio Symphony Orchestra, Frankfurt Museum Orchestra, German Radio Symphony Orchestra, Augusta Symphony and Sinfonieorchester den Nationalen Philharmonischen Gesellshaft der Uklaine Kiew. His past guest conducting appearances have included The Japan Philharmonic, The Tokyo Symphony, Yomiuri Nippon Symphony Orchestra, Century Orchestra Osaka, Omaha Symphony and Baton Rouge Symphony, the Polish Chamber Philharmonic, Philharmonia Slaska, the Buffalo Philharmonic, the Chattanooga Symphony and the Baltimore Symphony. 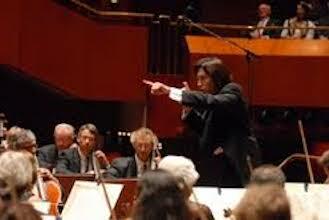 Mr. Kuwahara participates in international conducting competitions around the world. In addition to winning first prize at the Solti Competition, he received an honorable mention in the 2006 Tokyo International Music Competition for Conducting, the Prokofiev International Conducting Competition in St. Petersburg, Russia and Fitelberg International Competition in Katowice, Poland. He is also a recipient of the Paul & Daisy Soros Fellowship for New Americans. See additional information on Mr. Kuwahara on the Eastman Showcase. What got you interested in the ALP program? I wanted to learn every aspect of music while I was studying at Eastman. ALP was the only program at Eastman that kept up with the current music world, offering opportunities to learn and experience various ways to engage audiences. It also provided a great deal of information about various musical institutions – discussions among colleagues about the successes and failures of art organizations made students aware of what one should or shouldn’t be done in various situations. How have your studies and experiences in the ALP program helped you in your professional career? How important is entrepreneurship in the world of conducting? What is the biggest challenge faced by young conductors today? The job of a conductor is so unique that there are many things one needs to learn beyond what academic institutions offer in their programs. The demands of non-musical activities are so much greater than what was expected from conductors in the past that balancing artistic integrity can be very difficult. Each of us has to find our own style that works. What advice would you give to current students in the ALP program? Leading is about initiating – don’t just think about doing it but actually do it! I suggest that you start doing it while you are in the school and make many mistakes, because once you are out in the real world, there is a very small margin for error. You recently won 1st prize in the International Conducting Competition Sir Georg Solti 2008. How important are these types of competitions to the careers of young musicians? Being chosen as 1st place in a large international competition (among 540 applicants) is a great honor. This prize gave me opportunities to conduct more European orchestras, but I feel this is just the beginning of my career. The importance of competitions varies with the size and recognition of these organizations, but I feel one should start earlier rather than later. Being afraid of failure will never make you a better artist. Learning from making many mistakes is the only way to improve as a conductor.